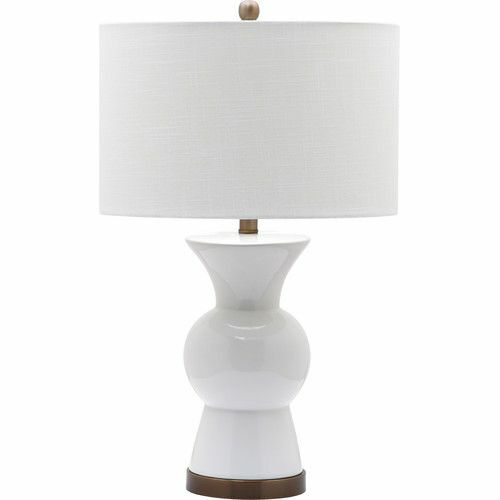 Melding Hollywood Regency glamour with modern sensibilities, this 29” table lamp is an ideal addition to well-curated rooms. A glass base in the shape of a cone is awash in a metallic silver finish, featuring hammered detailing for a touch of texture. Up top, a drum shade completes the look as it diffuses the glow of a 60 W bulb (not included) over your space. It’s ideal for eclectic ensembles, downtown lofts, and anywhere else that could use a little sparkle. 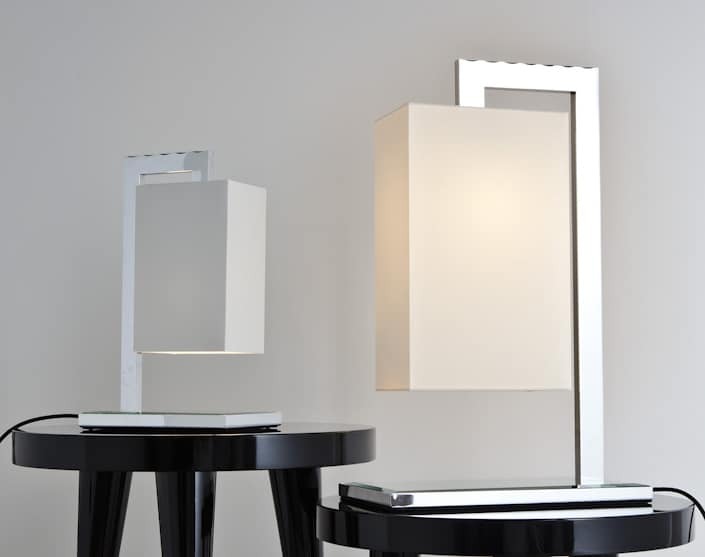 A work of art in its own right, this 18.5″ table lamp keeps your spaces looking on the bright side as it elevates the look of your decor. 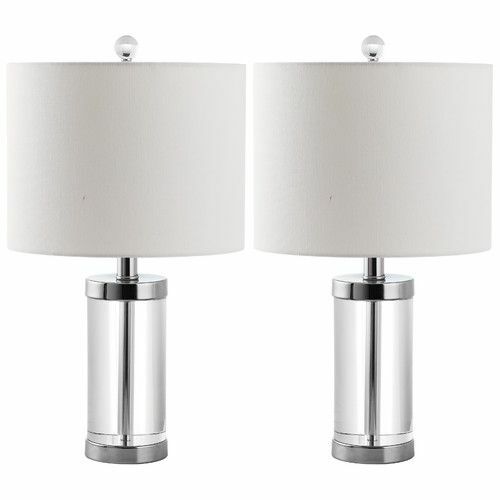 Crafted from stainless steel and awash in a two-tone chrome and satin nickel finish, this lamp brims with ultramodern appeal, while the oval base and frosted glass shade round out the design with a touch of symmetry. 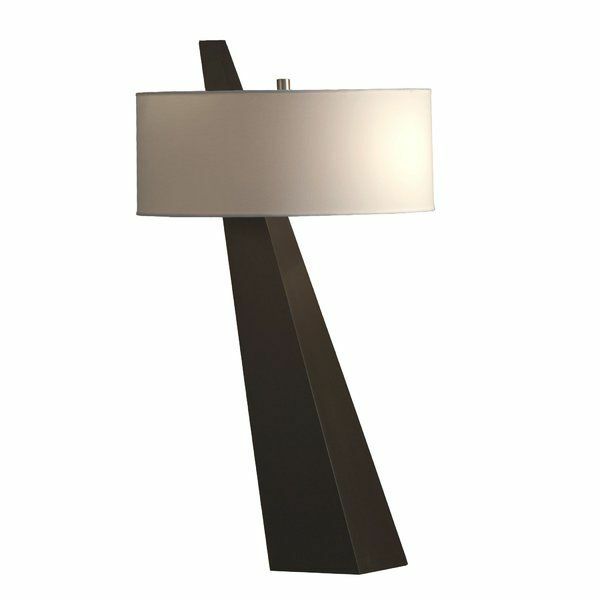 Everyone’s favorite feature, this lamp turns on and off by touching any of the metal areas. This plug-in fixture accommodates two 40 W max…. 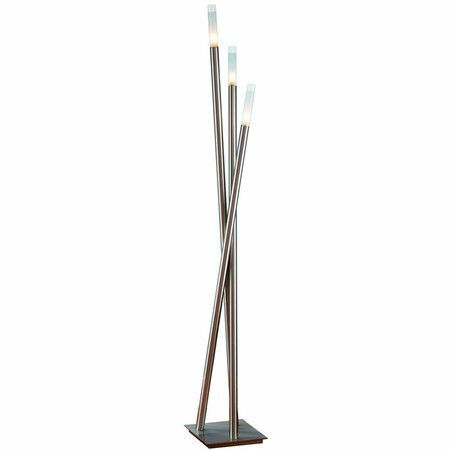 Light up your any corner of your home in contemporary style with this lovely table lamp. A perfect pick for midcentury aesthetics and Scandinavian spaces, it showcases a streamlined design a sleek metal frame with a pedestal base, which is finished with an antiqued brass hue. 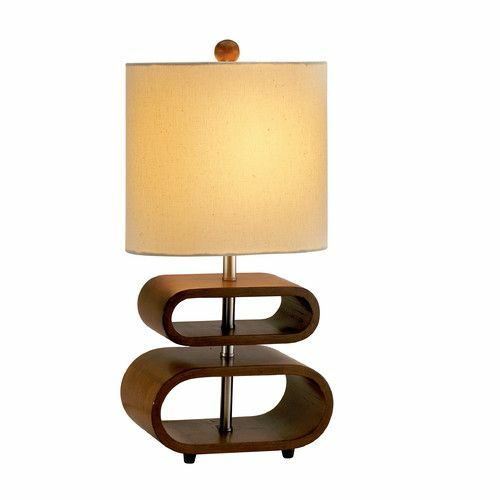 The metal is accented with walnut wood for a touch of flair, and the lamp is topped with a drum shade for an ambient glow. It has a pull chain and it accommodates one 100-watt bulb (not included). 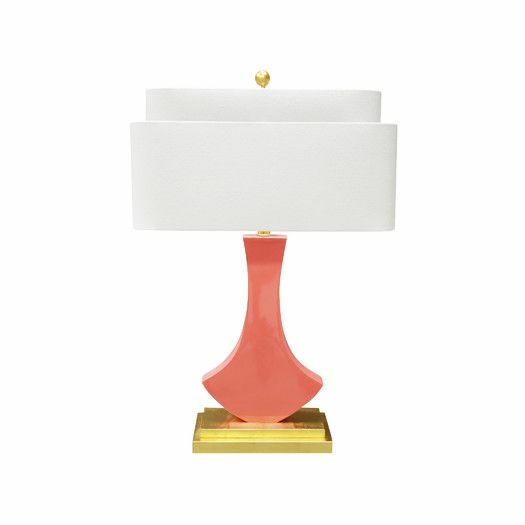 Just as much of an artful accent as it is an illuminator, this 17” table lamp is sure to shine atop any end table or nightstand. An ideal fit for rustic abodes and modern farmhouses, it features a clean-lined solid wood frame with a walnut grain finish. 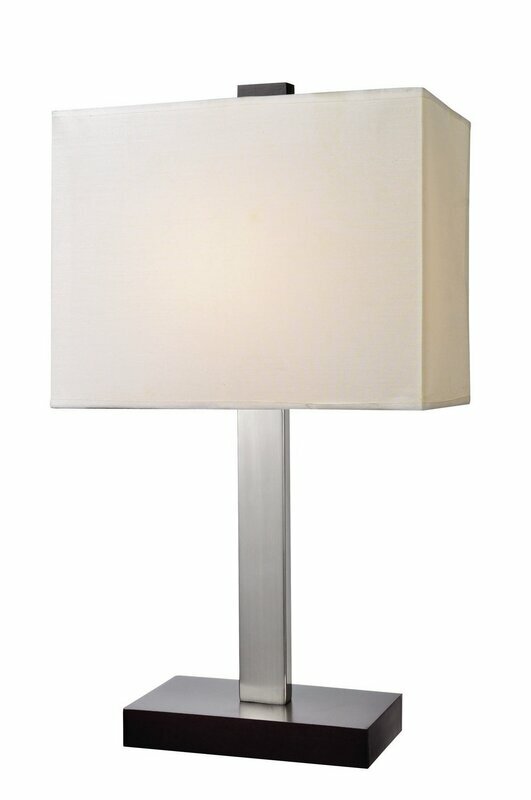 Its single light is highlighted by a fabric drum shade, creating a warm and relaxing glow throughout your ensemble. 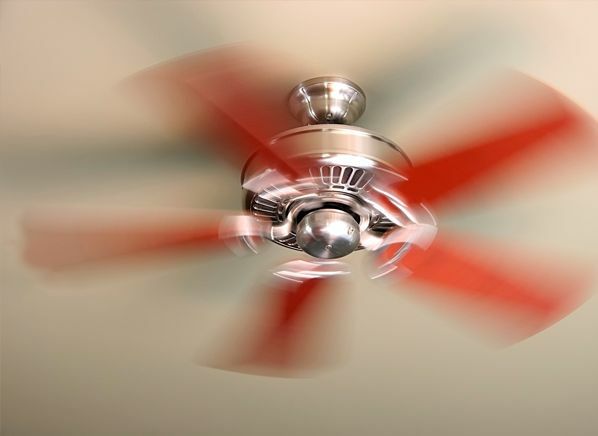 Turning it on and off is easy, just pull the hanging chain! 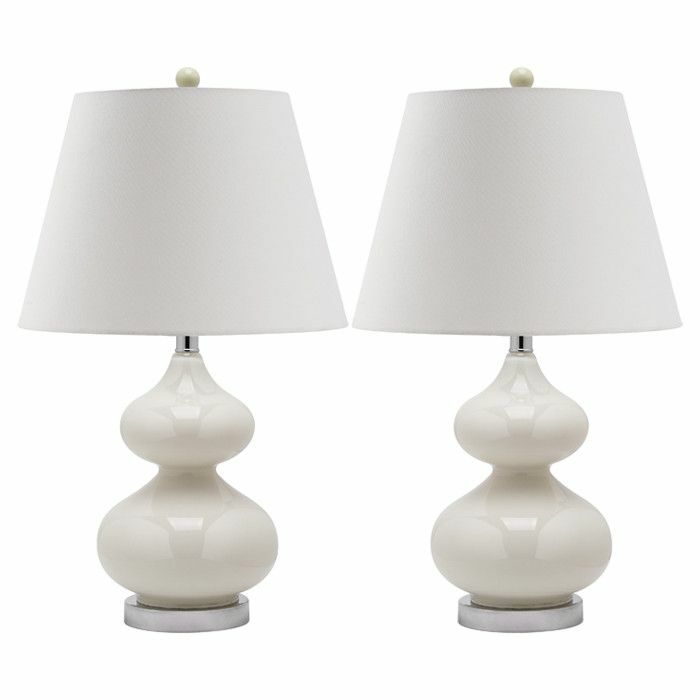 More than just a little light, this 18″ table lamp brings artful allure to any end table or nightstand. Crafted from metal, its base takes on an eye-catching curved silhouette with a metallic finish that works best in more modern settings. Up top, the single light is highlighted by a tapered translucent poly-carbonate shade that gives the glow extra dimension. To clean, safely unplug this luminary and wipe it with a dry cloth.